Summary: Although there is no one-size-fits-all answer, for some banks, in-store branches may be the right solution. We provide the pros and cons. Summer is here and people are thinking of traveling. That is always fun, but it got us thinking about whether there are any angles around this to think about. We uncovered research by Expedia that finds boomers travel 27 days per year or about the same as Gen X at 26 days. Interestingly, millennials travel 35 days per year. By type of vacation, most boomers do so to visit family (67%), compared to relaxing for Gen X and millennials at 51% and 55%, respectively. Have fun out there this summer! As you travel, you will certainly casually note any bank branches operating inside stores or supermarkets. To catch you up in this area, we find this strategy is a mixed bag. First some background. Supermarket branches date back to the 1960s, but their growth accelerated in the mid-to-late 1980s. The FDIC reports there are 4,684 supermarket/in-store branches, representing 5.4% of all retail bank branches. Certainly, there are benefits. For instance, they are less expensive to build and maintain than traditional branches. You also have a good opportunity to meet new customers. On the other hand, these branches are small from a deposit perspective. On average, a supermarket branch holds $21.5mm in deposits or 27% of the traditional branch average, according to FDIC. The figure is a bit deceptive though because 43% of in-store branches have less than $10mm in deposits and 72% have less than $25mm. This isn't to say that in-store branches can't be successful, but consider these caveats. First, in-store spaces are generally only large enough to accommodate a few tellers and an ATM, making it best-served for transactional business. If you're clever with the space, you can automate most of the processes and use the remaining space for more specialized, non-teller activities focused on the needs you identify in the particular market. Another stipulation is that banks should recognize in-store branches are only going to generate a portion of the revenue of a traditional branch. Does the revenue justify the expense? Another potential downside: you lose an element of control with an in-store branch. You're beholden to the grocery store's hours, activity and even odd ball things like what Amazon is doing. These constraints and customer behavioral changes have some banks moving away from the in-store concept to tiny pop-up branches as another growth option. These branches are shipping container size and can be dropped off in high-traffic, populated areas. They are cheap to build and can be erected in a matter of hours. PNC has been using this strategy since 2013, and other banks like Wells Fargo are also adopting it. Such branches can be an effective way to capture customers in a variety of locations, or even to serve as temporary hubs in areas that have been ravaged by storms or other natural disasters. It's also a way to onboard customers at sporting events, concerts, etc. Certainly, there's no one-size-fits-all answer but for some banks, in-store branches may be the right solution. 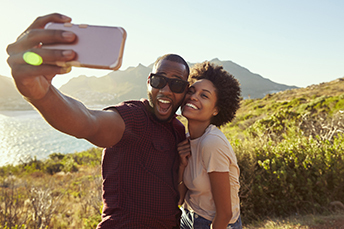 Be sure to perform a thorough risk/reward analysis to determine whether this strategy or some other type of unconventional branch approach could propel your growth as you enjoy summer travel. A Bankrate survey finds the average checking account overdraft fee is $33.38. S&P Global Market Intelligence research finds in order of importance, the favorite mobile bank app features are: check balance, review transactions, transfer money, access account statements, pay bills, remote deposit, and manage account alerts. The Congressional Budget Office (CBO) projects GDP will grow 3.3% this year, 2.4% in 2019 and average 1.7% from 2020 to 2026. Meanwhile, debt held by the public is projected to reach 78% of GDP at the end of this year and 96% by 2028. An ARC State of the Industry Update Survey of compliance professionals finds: 85% felt regulatory scrutiny around BSA/AML had increased since their last exam.